SuspensionMAXX MAXXCam Adjustable Torsion Bar Leveling Kits are the perfect choice for lifting, leveling or dropping the front suspension on torsion bar equipped trucks and SUV's. 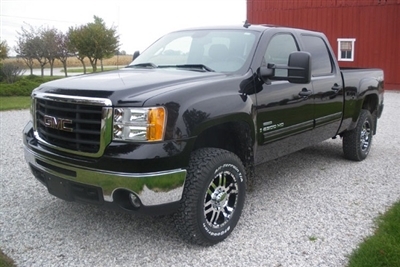 MAXXCam increases vehicle function while providing your truck with a more aggressive look. Patented hex calibrated fixed forged torsion bar keys feature an internal gear adjustment mechanism that provides up to 7 incremental height adjustments. MAXXCam can be calibrated to any amount of corrected height and degree torsion bars require with controlled preload and no degradation in handling or ride quality. MAXXCam does not require longer shocks, so OE shocks and the comfortable factory ride can be retained. MAXXCam kits include all the hardware needed to complete the installation. Including differential relocation spacers, shock extensions, and upper control arm rebound stops. MAXXCam is a lower cost option to high-priced full lift kits. MAXXCam installs quickly when using the SuspensionMAXX torsion bar unloader tool, requires no extensive modifications to the vehicle, and is completely reversible. Made in the USA and offered for all Dodge, Ford and GM torsion bar equipped trucks and SUV's. There is no other product like it. 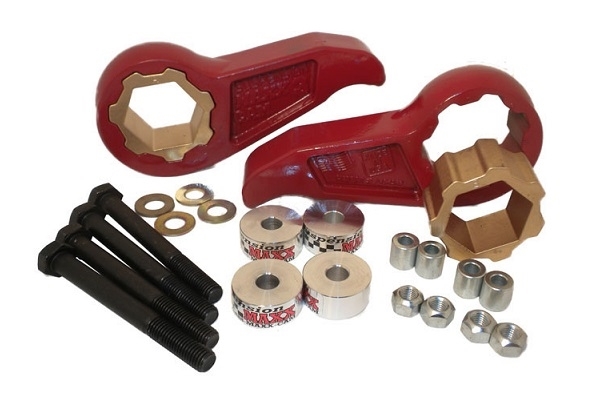 To increase suspension lift for bigger tires, more ground clearance, or to accommodate heavy front mounted accessories like snowplows, you'll find MAXXCam Adjustable Torsion Key Leveling Kits are the best solution. MAXX Cam torsion bar keys are investment cast to exacting standards using 4140 heat-treated alloy steel for durability that exceeds that of even the toughest one-piece OEM torsion bar lever. Industrial strength powder coating is applied for added protection from the elements. 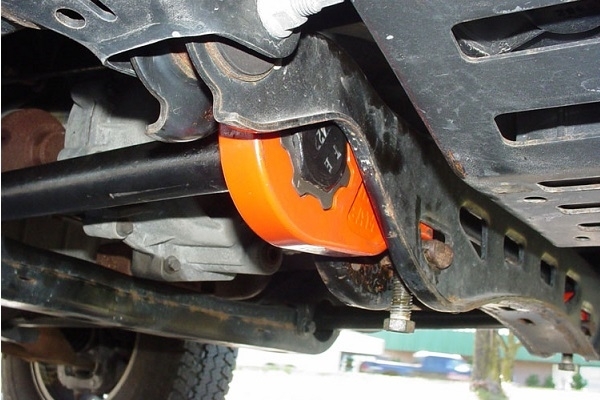 MAXXCam Adjustable Torsion Bar Leveling Kits are engineered to smoothly integrate with the stock suspension. There is no torsion bar preload and the original equipment shocks are kept in place. This not only helps to maintain the stock ride and handling characteristics of your truck or SUV, but reduces cost as well. MAXXCam is installed in approximately 1-2 hours and is and is supported by the unsurpassed SuspensionMAXX Techical Support Program. Completely covered by the MAXX Structural Lifetime Warranty. Vehicle Accessories carries a complete line of SuspensionMAXX leveling kits. Stop by any of our locations in Flint, Bay City, Clarkston and Lansing or call us Toll Free at 1-866-820-2119 for pricing and availability. If you don't see a product that you were looking for, please give us a call so that we may assist you.